AME Engineering is a nationally recognized manufacturer of rollstock horizontal form/fill/seal packaging machines and associated parts with over 30 varieties of products. After nearly 40 years of operation, we are continuing our tradition of providing solutions for brand name companies in the consumer packaged goods industry. We use only the best available components in our products – satisfaction guaranteed! We have innovative product lines featuring solutions that increase machine efficiency, reduce down time, and improve overall machine performance. AME Engineering is a pioneer in modified atmospheric packages (MAP) equipment with several specialized patents. Our products and accessories can be fitted for most conventional dieless packaging machines (Tiromat™ , Multivac™ , RapidPak™ to name a few). Our products are user friendly and manufactured in the United States. We have worked with clients from various industries on their specialty projects requiring innovative engineering solutions, developing and building specialized equipment on consultation, project segment and turnkey basis. Unlike most small, after-market suppliers that are reproducing the OEM, AME is a pioneer by developing innovations that improve the throughput and performance of the machines. 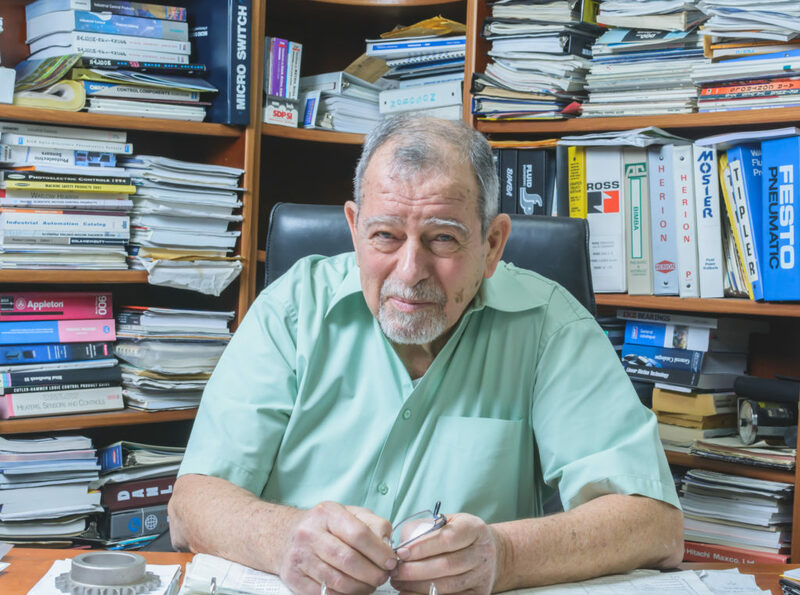 Moshe Epstein, President and Founder, was one of the first degreed engineers to enter the industry of horizontal rollstock form/fill/seal packaging machines – if not the first! Lihy Epstein has stepped in to continue building on our brand and innovation. For nearly 40 years, AME Engineering has worked to further the industry by developing breakthrough innovations. We have many success stories, some of them resulted in US patents. We work with everyone – clients and competitors alike – to improve the performance of rollstock packaging machines.